It was perfect weather on Saturday. Sunny but not too warm. So we decided to visit a market that I marked down in my phone calendar since weeks ago but did not have the chance to go. 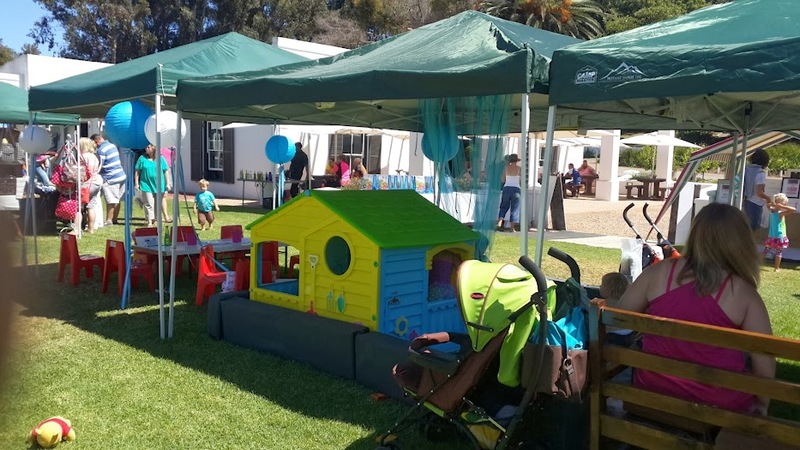 It is My Favourite Things Baby and Kiddies Market, held in Meerendal Wine Estate, Durbanville. It is a very small market, about 20-ish (correct me if I am wrong?) stalls. I enjoyed this smaller sized market for a change, as one usually gets bombarded with too many stalls in a market and ended up tired and confused, and need of a break after the outing. The size of this market was just perfect for a family outing, and very relaxed indeed. The setup has a very friendly environment and person experience. We were greeted at the entrance of the market by Helena herself, and was given a welcome pack, complete with a wonderful big smile! 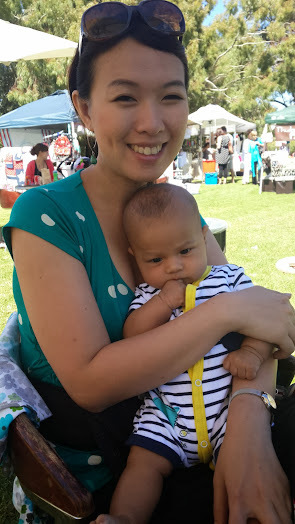 "So many people contacted me with their amazing products and services, that in 2011 I started the My Favourite Things Baby and Kiddies Markets. The market moves to a different venue each time, making it interesting, unique and great for marketing your products. I love the fact that I can give exposure to wonderful child-friendly venues and incredible baby and children's products and services." 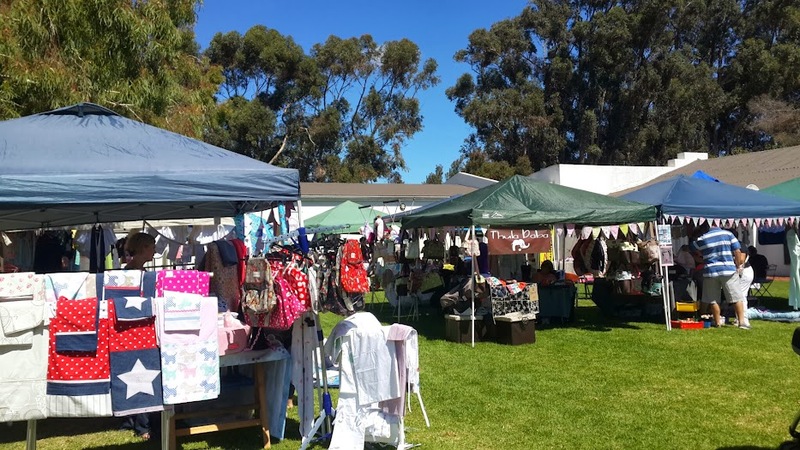 The market has a whole range of beautiful and special products, from kiddies clothings, blankets, diaper bags, soothers and many more. They are very reasonable priced, from clothings starting at R30! We didn't get any though as Ethan has enough summer clothings for now, and I am not sure how big he will be during winter. But I will definitely be back for some later! We did however bought a blanky cover-up from Bubs Starwraps (review up later!). I personally think the market is very thoughtful setup-wise, having a small kiddies play and activity area in the middle of the market. Although Ethan is still so small, we really enjoyed watching the other children enjoying themselves while the parents relaxed after the walk around the stalls. Here is Ethan, looking all grumpy since he could not join in the fun in the kiddy area. If ever you feel like a relaxed Saturday morning with the kids, do try and give this market a visit! 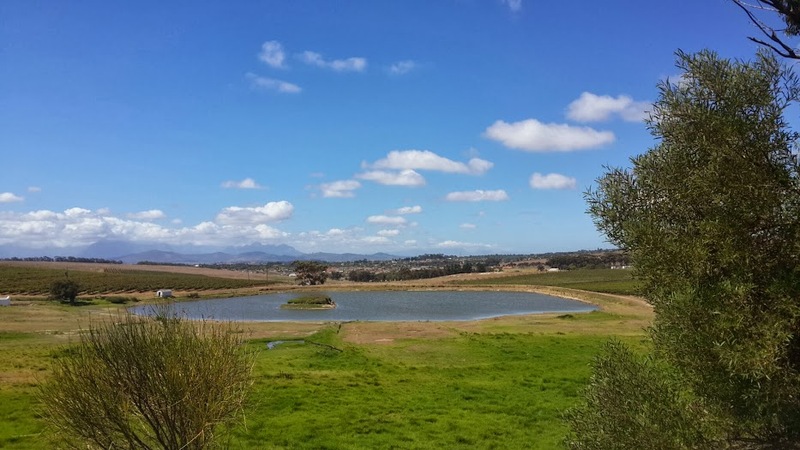 Every first Saturday of the month at Meerendal Wine Estate, Durbanville. 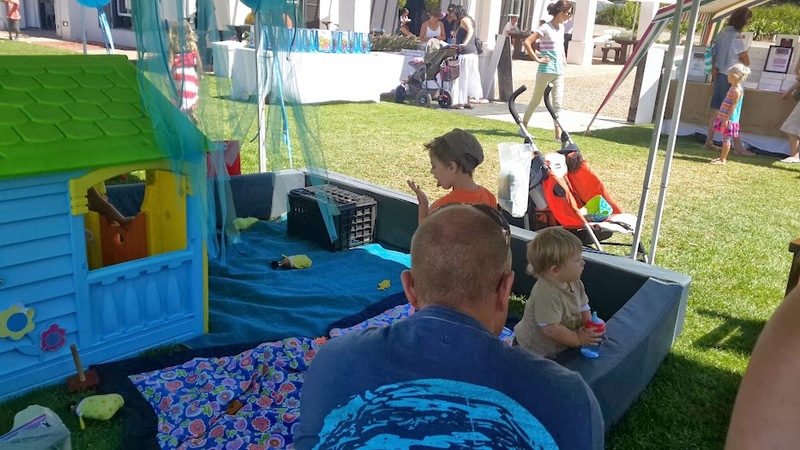 Every last Saturday of the mongh at Lourensford Wine Estate, Somerset West.